When a society becomes more affluent, does it lose other values? Are the skills that education and literacy gave millions wasted on consuming pop culture? Do the media coerce us into a world of the superficial and the material - or can they be a force for good? When Richard Hoggart asked these questions in his 1957 book The Uses of Literacy Britain was undergoing huge social change, yet his landmark work has lost none of its pertinence and power today. 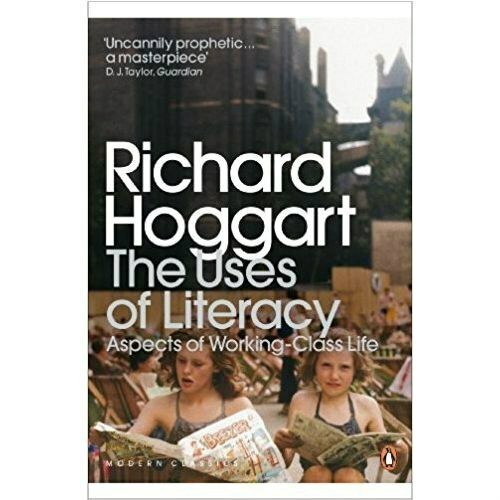 Hoggart gives a fascinating insight into the close-knit values of Northern England's vanishing working-class communities, and weaves this together with his views on the arrival of a new, homogenous 'mass' US-influenced culture. His headline-grabbing bestseller opened up a whole new area of cultural study and remains essential reading, both as a historical document, and as a commentary on class, poverty and the media.